"Genetic Information" is information regarding your genotype (e.g. the As, Ts, Cs, and Gs at particular locations in your genome), generated through processing of your saliva by 23andMe or by its contractors, successors, and assignees; or otherwise processed by and/or contributed to 23andMe. "Self-Reported Information" is all information about yourself, including your disease conditions, other health-related information, personal traits, ethnicity, family history, and other information that you enter into surveys, forms, or features while signed in to your 23andMe account. 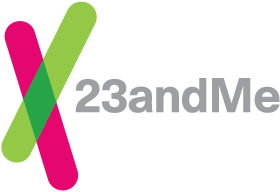 Self-Reported Information is included in 23andMe Research only if it has been indicated for 23andMe Research use on the website and if you have given consent according to the applicable Consent Document. "User Content" is all information, data, text, software, music, audio, photographs, graphics, video, messages, or other materials - other than Genetic Information and Self-Reported Information - generated by users of 23andMe Services and transmitted, whether publicly or privately, to or through 23andMe.